Kevin received his BA in Economics from Denison University in Granville, Ohio in 1973. After getting his wings in the Air Force and flying the C-141, Kevin went on to the Wharton School of Business at the University of Pennsylvania, where he earned his MBA in 1981, while flying for American Airlines. At Wharton he earned the highest possible grade of “Distinguished” for his thesis on personal finance emphasizing cash flow management. Kevin is also a Certified Financial Planner. Kevin has made several contributions to the Allied Pilot’s Association, including serving as chair for the first Strategic Planning committee at a domicile (ORD) for one year. Then in 1993, the APA asked Kevin to join the committee responsible for analyzing the feasibility of creating a credit union for the APA membership. He chaired the business planning committee and was on the Board of Directors from its inception in January of 1994, until April of 2000. Kevin Retired after over 32 years of flying for American Airlines on 8/1/10. Kevin was recruited for PHH by Bill Hubble after being introduced by Tony DeSantis. At PHH Kevin has been a marketing rep, East Coast director, Director of Strategic Planning, and CFO. 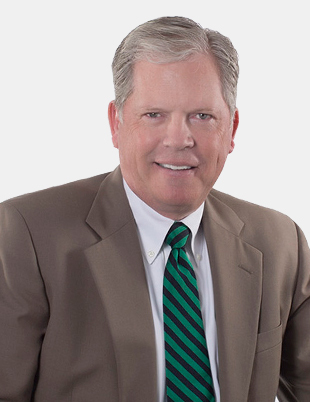 Kevin currently serves on the Retirement Advisors Board of Directors as well as in his marketing capacity.